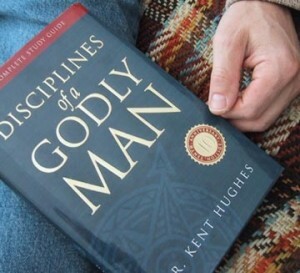 Several years ago I read a book by Ken Hughes called Disciplines of a Godly Man. The main theme of the book deals with imitating older, wiser men and their godly habits. One such habit he discusses is reading. Hughes challenged me to think more deeply about what I read, and at the end of the book he listed several well-known leaders in the church, and he included a list of their favorite books. Knowing those particular books had impacted these mature men, I began to read through the list. I have always been interested in what intelligent and godly people are reading. Therefore, in that same spirit, I polled our current faculty and asked them what books they are planning on reading over the summer. I’ve already read several of these! So, without further adieu, here is the list! Billy Collins anthologies are also fun! Lila by Marilynne Robinson is good…but I would recommend reading Gilead before Lila (and Home before Lila as well). Favorite is Jane Eyre. Jane is a strong example of rising above sadness and difficult circumstances to make the most of the life God has given her. She exemplifies “pulling up your boot straps” and not blaming God for your circumstances. There are so many life lessons wrapped up in this dark, yet beautifully written classic. Favorite: The Hobbit/Lord of the Rings series, or anything by J.R.R. Tolkien. Books on the family by the Wilsons, and some others about counseling. The Aeneid. I will be using Roman Roads Media study guide and DVD’s . These guys are trying to challenge parents who are doing Classical Education to prepare themselves more thoroughly to be able to teach (or in my case help!) more effectively their own children. Hannah Coulter by Wendell Berry along with his latest collection of short stories. Dreaming Spies by Laurie King.